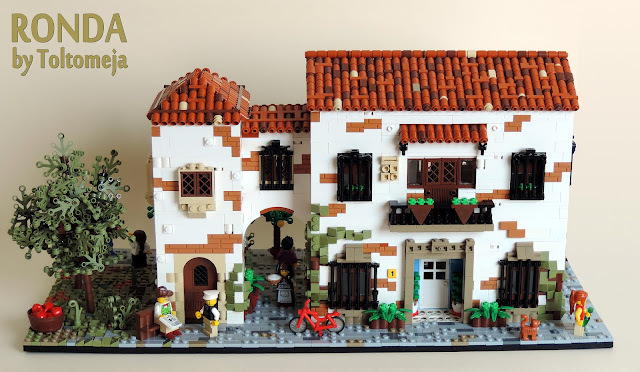 LEGO Fan and flickr.com member Toltomeja has recently shared a MOC about a real house from a city of Spain named Ronda. The roof technique is well-used and pyramid shaped roof is very well designed. Toltomeja used olive green cheese slopes as greenery on buildings wall. I also liked part usage on flowerpot design on balcony.